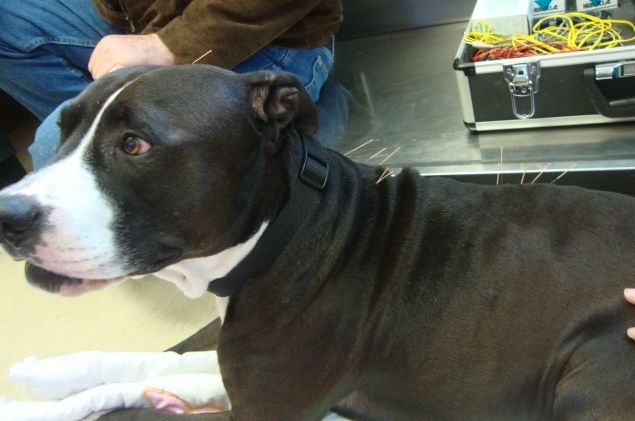 Veterinary acupuncture is an ideal adjunct to conventional veterinary medicine. By inserting tiny needles in specific anatomical locations, certain nerve pathways are stimulated resulting in pain control, immune stimulation, optimal organ function and general wellness and healing. Treatments can last from 20-30 minutes. How do I know if acupuncture will help my pet? Call and schedule an acupuncture consultation with Dr. Varga, DVM at 732-908-PAWS (7297). Hands to Paws, LLC is located in Brick, NJ. Dr. Varga will meet with you and your pet and then devise a plan that best suits you and your pet.